Never been a fan of that combat system. Yeah, I'm expecting a few people will be turned off by it. Do you automatically lock into a punching contest or can you bump into them once to exchange hits? I've always preferred the latter as it gives the player a bit more agency! You're locked into the combat. You can run away but that will restore the enemies health. If you attack a too strong enemy you will just take a hearts damaged and get knocked back a couple of tiles. 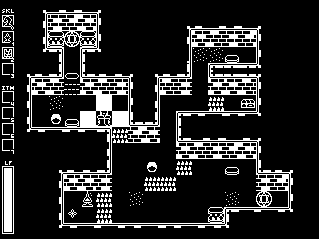 Also got started on combat, it will all be automatic by walking into enemies à la "For the frog the bell tolls". It still need a bunch of work, want the characters to be animated as well. Maybe also some floating damage numbers. I love the skull in that sand wall! That is very creepy cite. Would mind if I studied the layering and tried to replicate the effect? 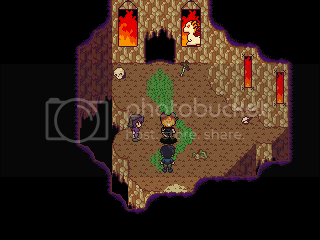 Basically re-acclimating myself to rpg maker, and have spent most of my time updating my chipset and tweaking it. Takes a lot longer then I remember! I may have posted a shot of this set before, but I'm too lazy to look and I did a lot of work on it since then. 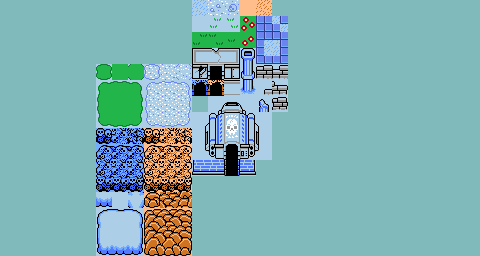 The chipset is a combination of heavy Secret of Mana edits from tiles I ripped, a couple tiles from a game I can't remember, and some original sprite work. Nice to see someone else posting in this thread. I like it, AFL, you managed to make everything fit together nicely. Nice AFL. I suspect the other game to be a Lufia (colors especially reminds me of the GB one)? @Momeka: I really like what you're going into. I've suscribed to your RMN page, I love what you've done with all the menus, and the accessibility especially. Looking forward to try that once you get a release. The 2003 is mondo bad at HUDs. The MV and VX generation are fixing that slowly but they are so expensive! I'm thankful my game doesn't need them other than a quick name block so you know which district you are walking around. Thanks, Momo! 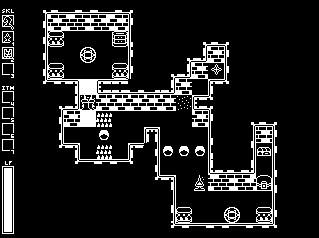 I'm going to try adding that skull wall to my Ether maps because the Ether tunnels are supposed to be a realm if spirits but the tiles I have look more like diseased floating islands. Thanks Donut, I'm following Whale on RMN as well. Looking forward to see it's progress and to get to play it. I really like the one bit style, it's not the easiest thing to get readable but you done a good of it. I took a look, and I don't think so. 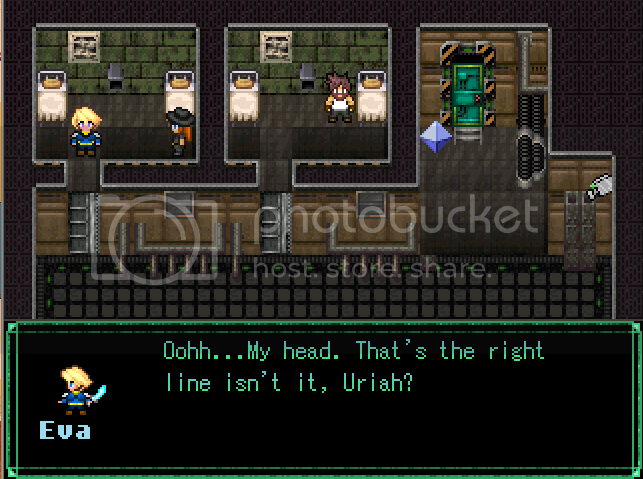 I might have actually got rid of anything that was derived from another game. I feel weird posting my screens because they don't look nearly as good as the ones posted above - but I guess that's what this thread is for! I'm trying to figure out where to go with the color scheme in the wall art. Should I take the colors from the sprite or find an in-between? It just looks like too much of a contrast at the moment. That looks mondo neat! The posters are so bright and vibrant despite the dank of the cave. The style of the charaset itself is also very original and dynamic looking. No no that's not true, your screens look nice really good! You make a very neat use of the chipset. For your new screen, As Prpl suggest, you should make them less bright, because they drag the eyes of the player a bit too much. Except if you want it to stand out for a very good reason (plot related or something), you should decrease the saturation a bit.